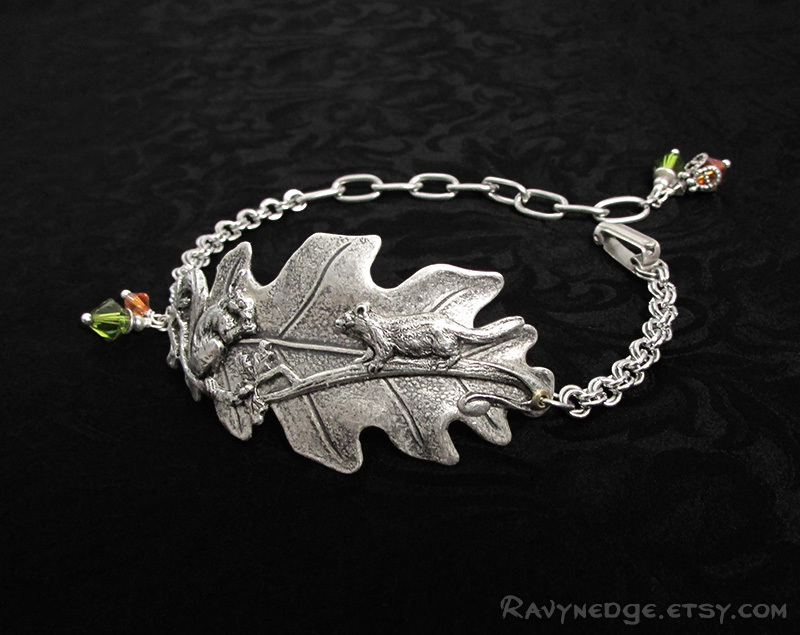 Druid's Treasure Bracelet - Oak Leaf with Squirrels Bracelet by RavynEdge. 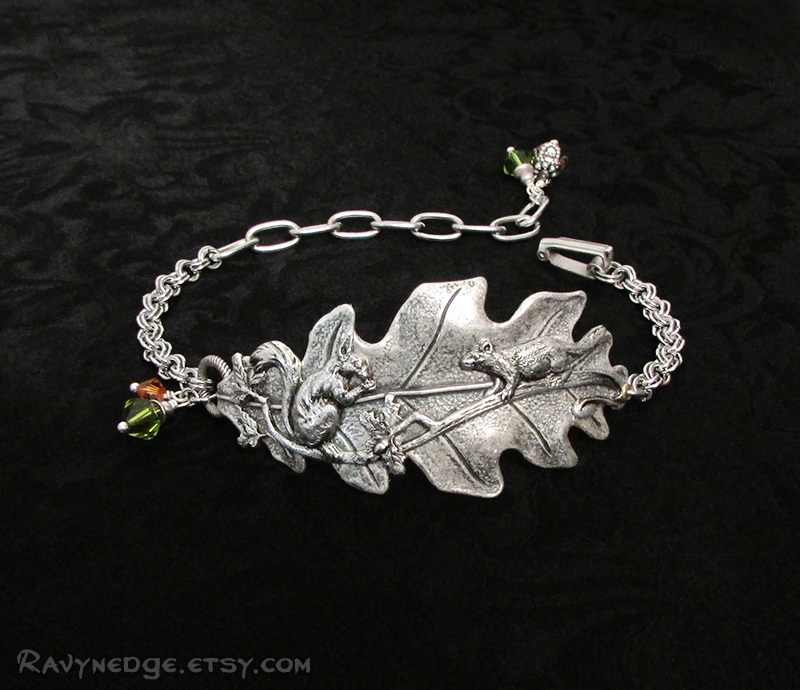 A distinctive silver oak leaf stamping was hand formed by me to caress your wrist. 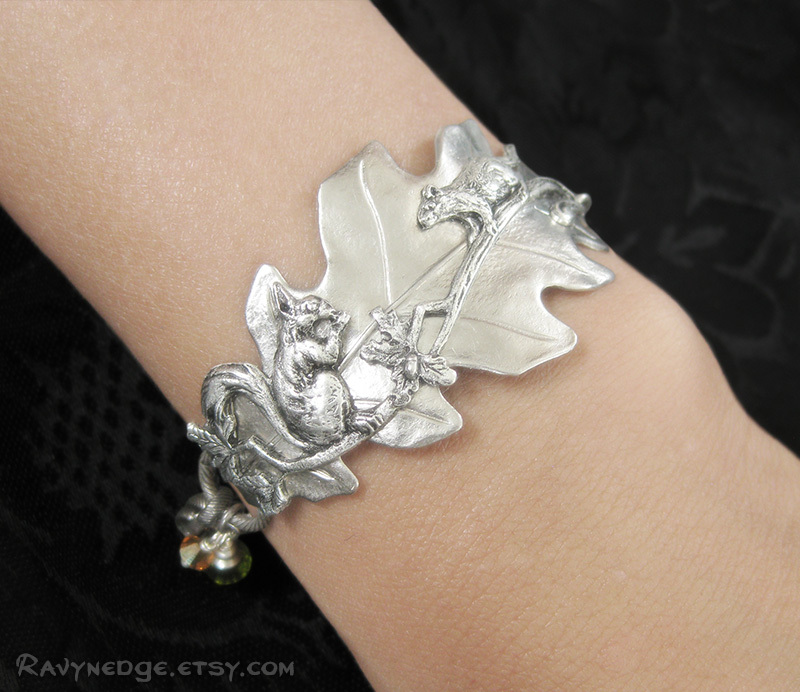 Two adorable squirrels on a branch frolic across the top of the leaf. 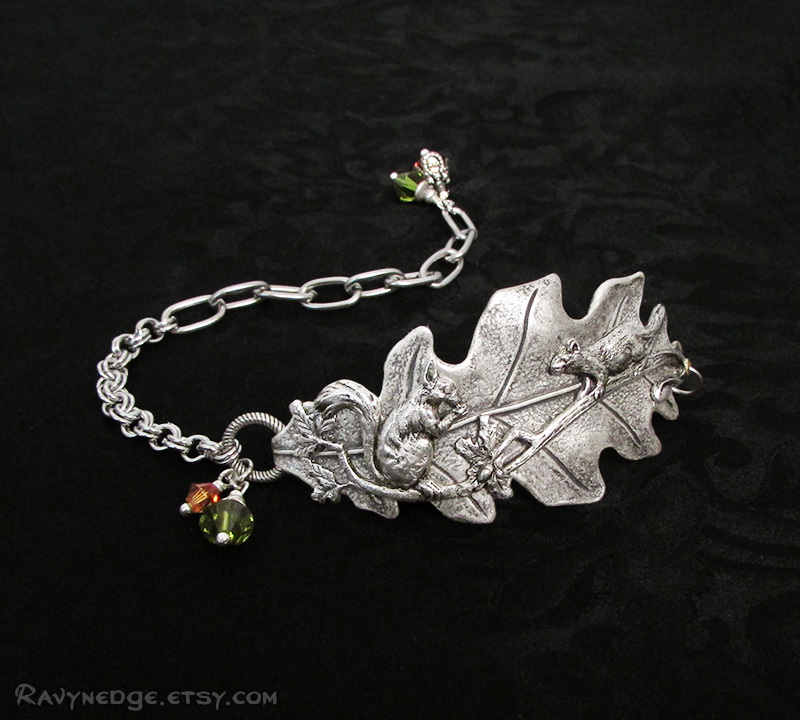 On one side, Swarovski dangles in crystal copper and olivine hang like sparkling acorns. The vintage style fold over clasp is for easy one-handed closure and can fasten to any large link, making it adjustable from 6 inches (15.2cm) to 8.25 inches (20.9cm). 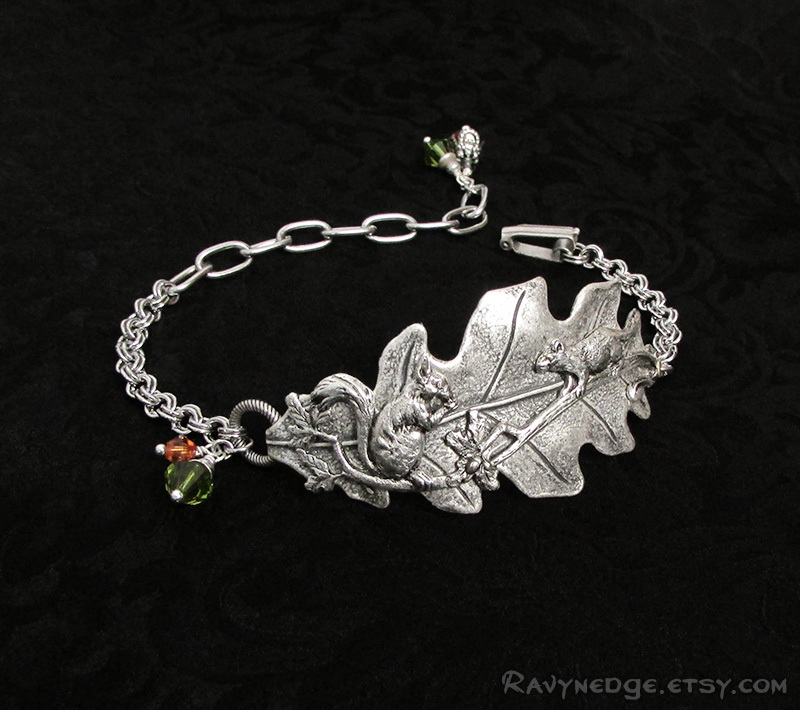 This bracelet can be made to fit larger or smaller wrists. Made with quality brass stampings created from vintage tooling. The metal is brass plated with real sterling silver, oxidized to give that wonderfully romantic and gothic look with a vintage appeal. The chains are made of tarnish resistant stainless steel.